Join us on Sunday, February 25 from 3:30 - 5 p.m. for an Introduction to 3D Printing Workshop, where we’ll be learning the ropes of 3D modeling to make custom designs! Whether you’re a wiz-kid on the computer or haven’t so much as opened a spreadsheet in eons, our resident 3D printing expert/wizard/knight/ninja, Neil Miller, will walk you through the basics of a browser-based 3D modeling program called Tinkercad. You’ll learn all you’ll need to know to 3D model an awesome design to dazzle your friends with. By the end of the class your creation will be ready to go to print, and in just one week you’ll be able to pick it up at MODA. Neil has been 3D-printing since 2005, and 3D-modeling since before high school. As MODA's 3D-Printing Proficient since 2014, Neil plans and implements the curriculum for hands-on design programming, schedules and teaches 3D-modeling classes, oversees day-to-day operation and maintenance of MODA's 3D-printers, and occasionally slays other metaphorical monsters. 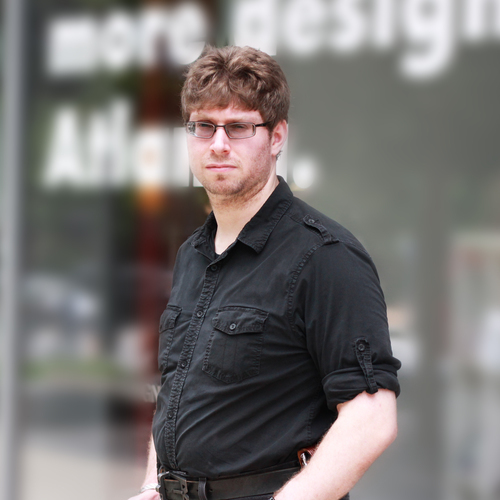 Neil graduated from SCAD-Atlanta in 2011 with a BFA in interactive design and game development and a minor in sculpture.